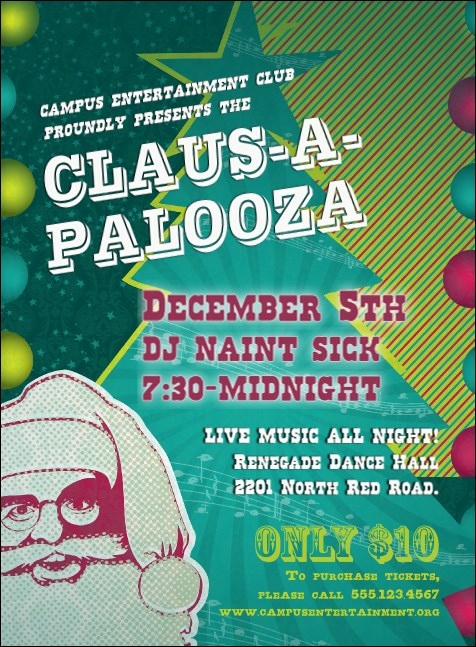 Send out the right kind of holiday spirit for your upcoming party when you promote in advance with individual Claus-A-Palooza Invitations for your guest list. You don’t need Rudolph to guide the way: these colorful Invitation templates share your details along with Santa’s smiling face in pink and beautiful Christmas-themed designs in the background. Get ready to celebrate! TicketPrinting.com has your holiday Invitations covered.